I last visited Wales two years ago and I outlined some of my family's history with the county of Gwynedd in north-western Wales. 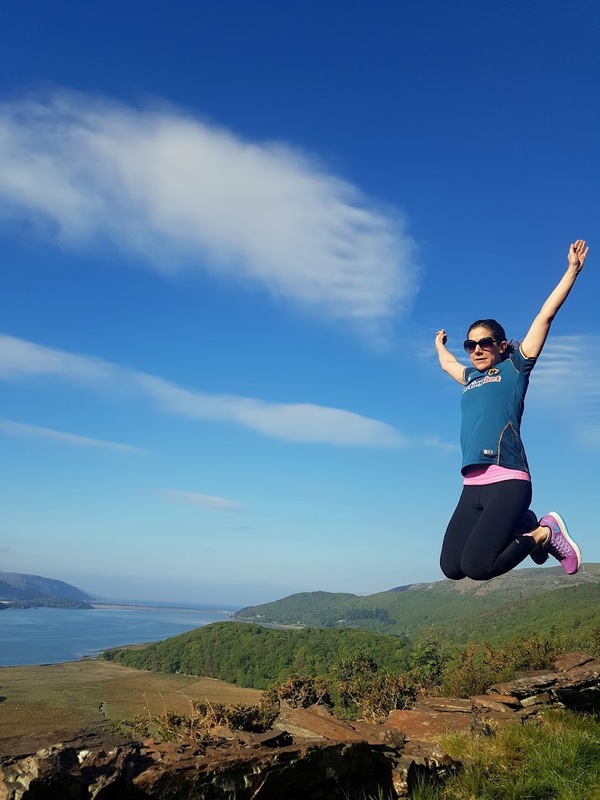 In particular, many of our family holidays in my youth were spent in and around the towns of Barmouth and Dolgellau, hiking, exploring and — usually — getting wet. But I didn't explain the main reason we returned to the area so often, which was that my dad's West Midlands grammar school has, for the past 50 years, owned a small outward-bounds centre at Farchynys, four miles east of Barmouth along the northern side of the estuary of the Mawddach (pronounced mao-thach; the final ch is pronounced as in loch) River. My dad spent many happy weeks as a pupil at Farchynys and has been returning to region ever since. In fact, he has such fond memories of the Mawddach, that he has written a book about the area and his school's history with this lovely part of the world (if you're interested, you can buy a copy of Marians on the Mawddach from Amazon). The book's Welsh launch was held on Saturday at Farchynys and my brother and I went along for the ride. I've been to the school's centre briefly before but this time we got the full tour along with the dozens of former staff and pupils and friends of the school who were there. We went on a gentle hike over some of the Farchynys headland, which offered some stunning views over the estuary. Unfortunately, the sun didn't come out so my photos were on the 'moody' side but at least it didn't rain. Afterwards, we drove into Barmouth for a walk over the town's iconic railway bridge, which celebrates its 150th anniversary later this year. Barmouth in Welsh is Abermaw, which comes from aber (estuary) and Maw(ddach), and the bridge affords wonderful views both out into Cardigan Bay and of the estuary. In the town itself, I spent some time browsing the excellent homewares and interiors store, Pieces for Places, which now has a second location selling jewellery and accessories. I was tempted by several Welsh blankets and throws, including one made from recycled plastic bottles, but mindful of my small bag and the long journey back to London, I restrained myself. Next door to the smaller shop, though, I spotted the words "speciality coffee" and did a double take. Generally a "mug of cappuccino" tends to be the norm in these parts, but we all went into Bradshaw's (located at 2 Church Street) and ordered two macchiatos and a cappuccino. My brother was impressed with his cappuccino and my macchiato was nice too, if slightly too hot. The coffee is from Poblado Coffi, roasted locally in Nantlle Valley. They had several bags of retail coffee for sale and had they not already run out of the whole bean bags (a good sign! ), I would definitely have bought some of the Ethiopian. Bradshaw's has only been open for a few weeks but I hope it is here to stay — and a sign of things to come in Barmouth. We had a big group dinner on Saturday night at the George III Hotel in Penmaenpool, which is on the other side of the Mawddach, close to Dolgellau. There is still a working toll bridge by the hotel, which — when it's open — saves a good three miles of driving when en route from Penmaenpool to Farchynys or Barmouth. I've stayed at the hotel a few times but not for a couple of decades; it doesn't seem to have changed much. We were staying at Farchynys Farm B&B again, and despite being tired from a long day, my brother and I got up relatively early to go for a run. Two of the B&B's rooms have lovely views over the estuary and as the sun was out too, I couldn't resist taking a picture of my Aeropress-brewed Weanie Beans coffee with a rather more picturesque background than usual. Our run was short but steep — leaving from the B&B, we turned right onto the main road and then took the first public footpath on the left, a few hundred metres down the road. We ran through the woods and were worried a) where we would end up (the path isn't on Google Maps) and b) that there would be no viewpoint. 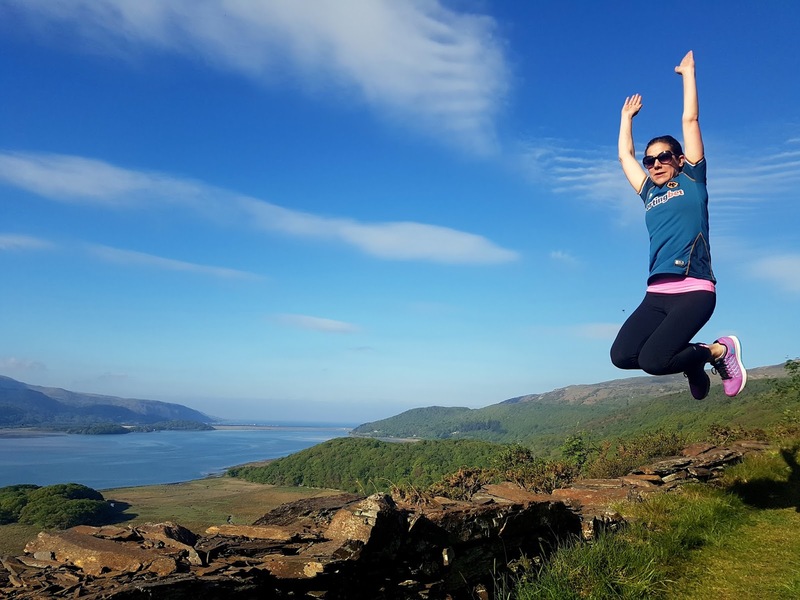 Luckily, our fears were misplaced and soon we were jumping for joy in the glorious sunshine with spectacular views down over the Mawddach and along to Barmouth Bridge. You can follow the path further and loop back down to the main road, but we didn't have time; after all, we had earned our fab cooked breakfast back at the B&B. We drove back to the West Midlands with my parents, stopping for a quick lunch at Churncote Farm Shop near Shrewsbury, and then on to visit my grandparents, before catching the train from Walsall back to London. The journey home wasn't really any quicker than the train, but as there is only one train from on Sundays, leaving Barmouth at about 3:00 pm and arriving into Euston over five hours later, at least we made it home slightly earlier. If you're thinking of visiting Barmouth or Dolgellau from London for the weekend — and you should — try to take a half or all of Friday off work so that you can have a full day on Saturday.